Program in Chinese Law, International Program on Master of Public Health （IMPH), Master of International Economic Cooperation, Master of China Studies, The LL.M Program in International Economic Law，MBA Program, AIIB Master of International Finance, Master of One-Belt-Road Sustainable Infrastructure Engineering. The programs duration will be one year or two years （1+1）, and will be open to applicants from 56 developing countries. 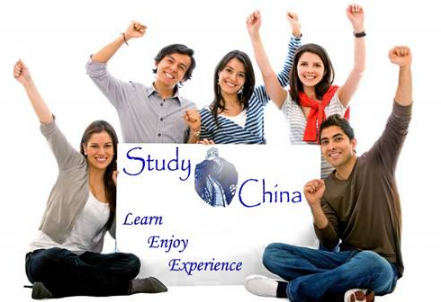 Living Allowance （96,000 RMB per year for each student）. One-off settlement subsidy after registration （3,000 RMB for each student）. 2． A bachelor or higher degree, at least 3 years’ work experience, some educational or professional experience in a field relative to that of the program applied. 3． Working in a government agency, company or research institute, and being a Section Director or Chief of Office, a senior manager, or excellent in scientific researches. 4． Good English language proficiency, able to follow English-taught courses well. Minimum requirements for reference: IELTS （Academic） total score 6.0, or TOEFL Internet score 80. 5． Having a strong development potential in his/her career, and willing to promote the mutual cooperation and exchanges between China and his/her home country. 6． Students who are now studying in China or already winners of Chinese Government Scholarship are not allowed to apply. Note: More details about each program can be found in the corresponding university’s recruitment prospectus. Step 1: Online Application Please log in “CSC Chinese Government Scholarship Information System” to submit online application. The application form will be generated automatically on successful submission. Step 2: Documents Submission Submit the application documents （legible scanned ones） listed below to the application receiving agency. All the information about Chinese Government Scholarship for Youth of Excellence Scheme (Fully-Funded) for International Students has been delivered nicely; interested and talented students who are eager to pursue their Free Tuition/Scholarships/Study in China can apply now.